Like Griffith Park, the Verdugo Mountains are a wildlife island ecosystem surrounded by urban development. The majority of the land is held in public trust as undeveloped park land, making the Verdugos ideally suited for hiking and mountain biking. Access to the interior of the Verdugos is available on all sides through dirt fire roads, called motorways, and are linked with a number of user paths from surrounding parks. As a mountain range, the Verdugos are quite small at only about 8 miles in length and 2 miles in width. 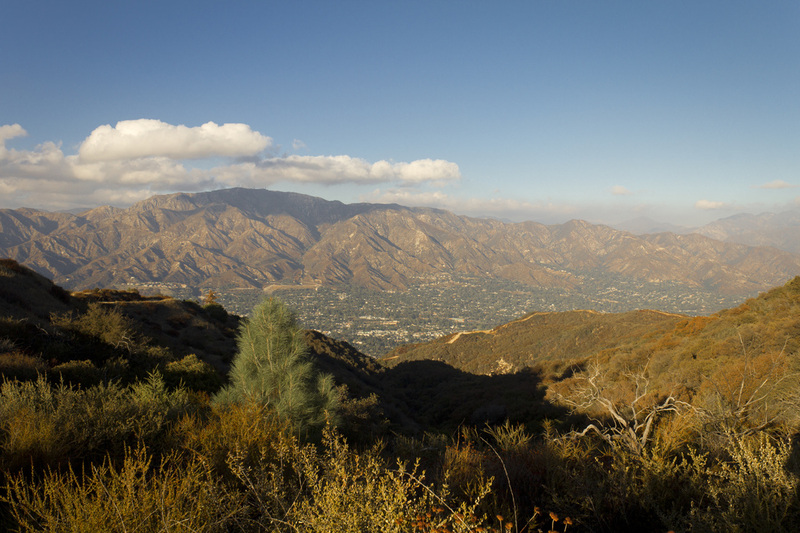 The northern slopes are separated from the San Gabriel Mountains by about a mile with the communities of the Crescenta valley nestled in between. The drier southern facing slopes rise above Burbank and northern Glendale reaching their highest point at the 3,125' Verdugo Peak. The flora of the Verdugos is comprised mostly of coastal chaparral with some denser woodlands establishing a foothold on the cooler northern slopes and watersheds. As you travel through the Verdugos, you will most likely see native laurel sumac, toyon and California-lilac and to a lesser degree live oak, sycamore and willow. A number of non-native trees are also present including cypress, eucalyptus and a stand of pine called Warden's Grove near Verdugo Peak, which was planted following a devastating wildfire in 1927. Among the wildlife one can expect to encounter in the Verdugos are the ever-present California coyotes, which seem to prosper wherever they are found, mule deer, skunks, rabbits, opossums and, on occasion, a mountain lion that has managed to cross over from the San Gabriel Mountains. Birds that make their home in the Verdugos include the Cedar Waxwing, the American Goldfinch, the Downey Woodpecker and the often heard, but seldom seen Wrentit. The Wrentit can be identified by its sharp whistled "pit" repeated several times on the same pitch followed by a rapid trill. 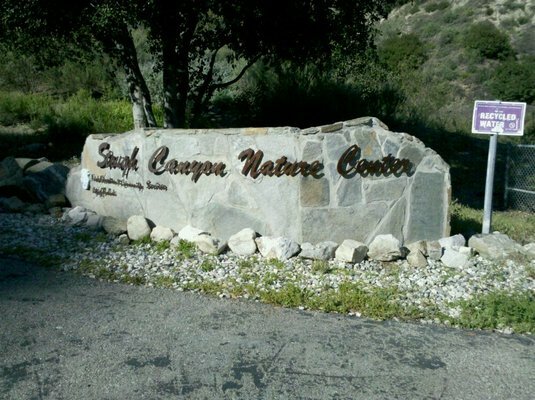 Developed parks which provide parking and access points to the Verdugos include Wildwood Canyon, Stough Nature Center, La Tuna Canyon Park and Oakmont View Park. 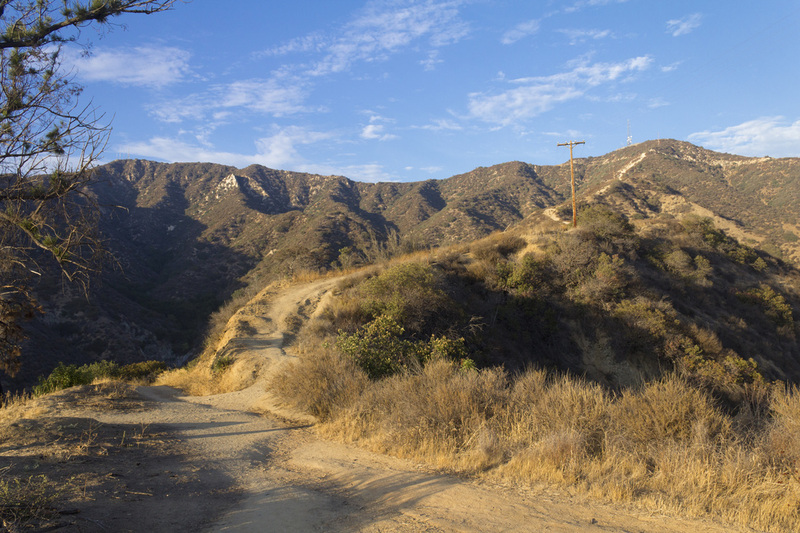 This challenging trail can be seen from just about anywhere in the San Fernando Valley as a white streak climbing the hills above northern Glendale. Gaining over 1500' in just over 1.5 miles this trek is guaranteed to work up a sweat in even the most in-shape hiker. The rewards are stunning unobstructed views of downtown LA, Griffith Park and the San Fernando Valley. A plateau at the halfway point provides benches allowing you to catch your breath before pushing to the summit. Verdugo Peak is the highest summit in the Verdugo range at 3,126'. The first 1.5 miles is a steep single-track trail utilizing a series of switchbacks to the upper ridge line. Once on the ridge the trail settles in to a more gentle ascent on the Verdugo Motorway with fantastic views of the Crescenta and San Fernando Valleys, the San Grabriel Mountains and downtown LA. There is a nice shaded picnic area at the Plantation Laterial Overlook near the summit. Rest rooms and water are available at the trail head. 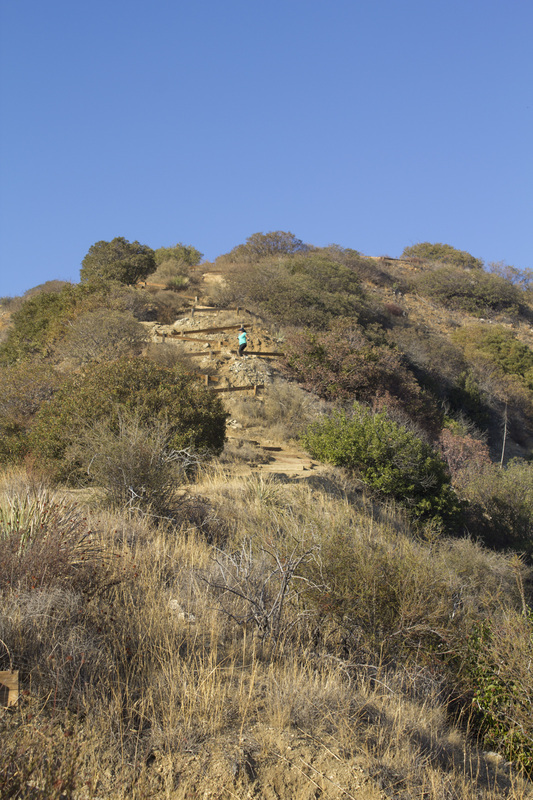 As with most trails in the Verdugos, this is a steep climb from the parking area, but the relatively short distance of only .5 mile makes this hike accessible to just about everyone. Views from the summit are stunning as the sun sets behind the Santa Monica Mountains and the lights of downtown LA and the San Fernando Valley begin to twinkle in the early twilight of evening. Benches located near the summit make for quiet romantic moments for couples. Flashlights are required for the return trip. The Cross of San Ysidro hike is classified as a sunrise hike, but it is also historic. 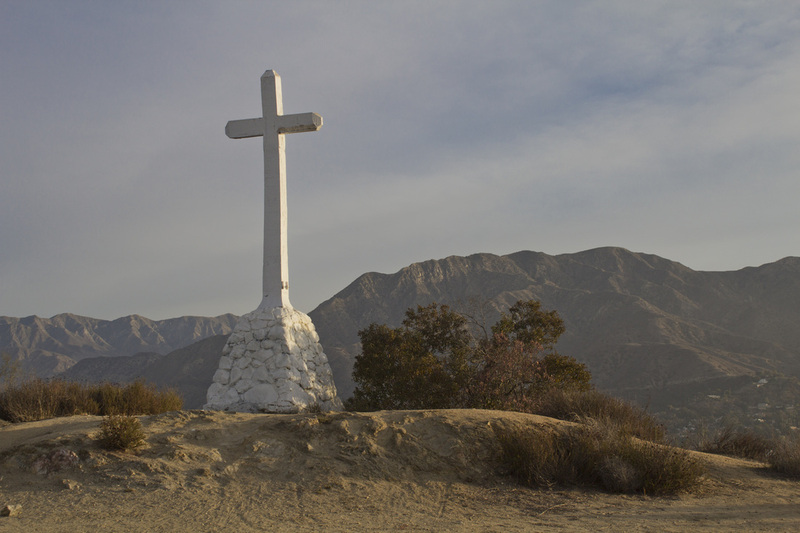 Easter Sunrise services have been held at the site since 1925 and the property on which the cross sits was believed to have been donated by California writer John McGroarty. The cross is situated on a bluff at 2113', overlooking the community of Tujunga, CA with the San Gabriel Mountains serving as a backdrop. Parking at the trailhead is limited, but an alternate route with more ample parking is available at McGroarty Park for those who aren't keen on rising quite so early to catch the sunrise. Mt. Thom Trail, Verdugo Mtns.